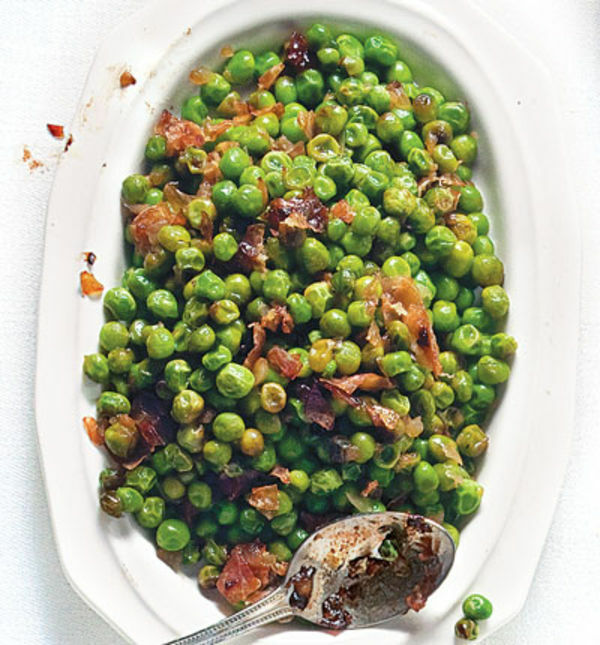 In this classic Roman contorno,or side dish, sweet peas are braised until tender, then sautéed with salty prosciutto. Heat oil in a 12" skillet over medium heat. Add prosciutto and onions; cook until onions are soft and prosciutto begins to crisp, 6–8 minutes. Add peas and 1 tbsp. water; cook, tossing, until hot, about 3 minutes. Season with salt and pepper.